These 'smartwatches' are the follow-up to 2013's Galaxy Gear. 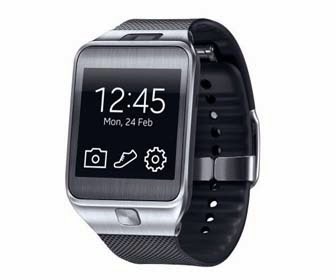 Samsung yesterday revealed its new Gear 2 and Gear 2 Neo 'smartwatches,' the follow-up to its 2013 Galaxy Gear. The smartwatches have moved from Android to Samsung's own Tizen OS. Despite that, Samsung claims that the new watches will be "more compatible" than the previous model, supporting over a dozen Galaxy handsets at launch. On the Gear 2, the camera and microphone have been moved from their previous clunky locations on the wrist strap to the body of the watch itself. The Gear 2 can also be used as a standalone music player compatible with Bluetooth headsets, and has an infrared sensor that can be used to control your television with the WatchON Remote app. Of course, you'll still be able to take or reject incoming calls through your watch, as well as receive notifications from social networks, text messages, and emails. The Gear 2 Neo is essentially the same as the Gear 2 with the exception of the camera; in the Neo model, the camera has been removed entirely, bringing its weight down to 55 grams. Typical battery usage is estimated to be between two and three days; with low use, the watch can last up to six days. 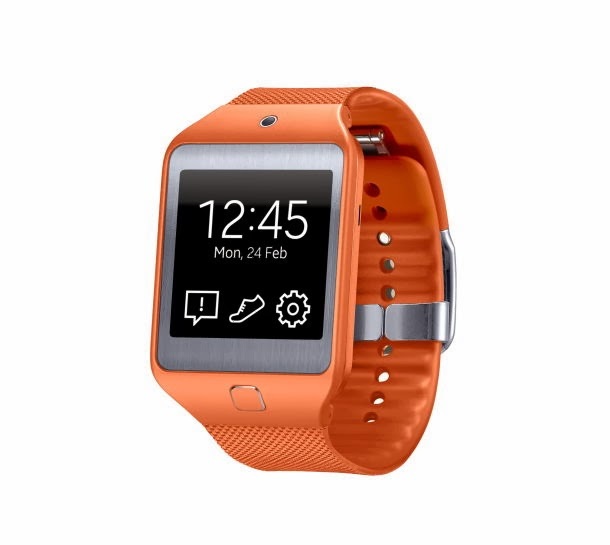 Samsung is also pushing the new Gears as fashion accessories, with interchangeable straps available in black, brown, grey, and orange. The home screen background, clock face, and font can be customised to match your strap. There are no pricing details yet, though the Neo variant is expected to be slightly cheaper. Samsung says the products will be available this April. In our original Galaxy Gear review, we gave the watch a so-so rating, concluding that it was an "incomplete package." We'll find out soon how much of an improvement the Gear 2's new features really are.